A team of scientists from the University of Chicago designed a way to use microscopic capsules made out of DNA to deliver a payload of tiny molecules directly into a cell. The technique, detailed Aug. 21 in Nature Nanotechnology, gives scientists an opportunity to understand certain interactions among cells that have previously been hard to track. "It's really a molecular platform," said Yamuna Krishnan, professor in chemistry and co-author of the study. "There are a host of research problems from cardiology to neurobiology that need a system like this to study very fast molecular phenomena, so it could be applied in a variety of ways." Cells talk to each other in chemical whispers that occur too fast for scientists to accurately study, Krishnan said. Her team aimed at one class of such chemical communications, known as neurosteroids. Scientists know neurosteroids are involved in neuronal health, but they're difficult to study because they operate on hair triggers. "The moment you add a neurosteroid, the neuron's already fired," Krishnan said. 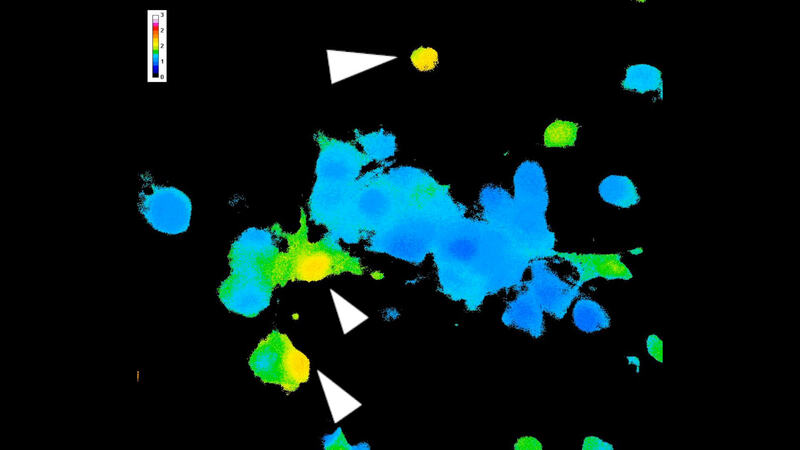 Researchers want a blow-by-blow account of what happens in the cell as the neurosteroid plays its part in the intricate signaling dance inside a neuron. To do so, they needed to get the neurosteroids to the cell inside a little package, release them on cue and then track what happens. But it's difficult to make a delivery system so airtight that it doesn't leak a couple of molecules before everything's set up. For this task, Krishnan had a solution: Her lab builds tiny machines out of DNA. It's a good material because like a set of Legos, it has standard interlocking pieces that make it easy to build into configurations. And since it's made out of parts already in the body, it can dissolve harmlessly once its purpose is achieved. The lab made tiny structures—icosahedral, like a 20-sided die—with two halves that clamp together around a payload of molecules to form a capsule. Each capsule is just 20 nanometers across; that's a thousand times smaller than the width of a human hair. The next step was to send them to key locations inside the body by finding the right molecular "addresses" to particular cells, and gluing them onto the capsule. (Scientists find these addresses by studying how viruses and bacteria hone in on particular parts of the body.) To release the payload from the capsule, the scientists simply shine a light on the cells. They tested and confirmed the system in worms and were able to measure the kinetics of the neurosteroids, previously an elusive process, the authors said. Someday, Krishnan said, the technology could be used to deliver drugs or treatment to certain parts of the body, but theirs was a case study to explore the method as a way to better understand our own bodies and how they work.